Hello my name is Amy but if you call me ‘Hot Wheels’ I’ll probably answer. This is down to the fact that due to a genetic condition that causes me to dislocate my joints as a hobby I use a wheelchair. I do also walk with a crutch but as it’s at a speed slower than a tortoise having a nap I generally end up in my wheelchair for most activities. One of my goals in life is to travel to as many places as physically (financially) possible and consider myself very lucky to have already racked up a few places on the map. Obviously travelling with a disability makes things quite a bit harder, but it’s not impossible. It is only thanks to friends and family who put up with pushing me around, lugging my wheelchair about and putting up with my toddler strops when I get hungry/tired/hot/cold/bored/in pain/drugged up/broken that I manage to go anywhere. I’ve got two goals with my blog: One is to regale you with the (sometimes ridiculous) stories of travelling with a disability. I hope that regardless of your experience with disability you’ll find some of these stories amusing, and perhaps that I might make you reconsider some of your views towards disability. My second goal is to try and put together some genuinely useful guides to the places I’ve been for travellers with disabilities. Although I’m going to be starting with only a few countries I always find others personal experience invaluable when planning a trip. Hi Amy. Since my girlfriend is in a wheelchair as well, it’s a big organisation to get all te trips arranged. We went to Budapest last week, and I must say, your blog was really helpfull in preparing the trip. Afterwards, I wanted to try the same. There must be enough people looking for some helpfull, practical information about travellers destinations for wheelchairs. That’s why I started a blog on myself. For this moment, it’s only considering some info about Budapest, but I’m hoping to add other destinations in the future. Would it be possible for you to put the link http://budapestinawheelchair.blog.com/ on your blog somewhere? Since my blog is brand new, I’m afraid no one will find it without links on other websites. I put the link to your blog in my article as well. Thanks in advance! Great first blog, looks like the cave would’ve been a great one! I’ll definitely link to your blog but being a new blog you’ll actually find you get a bit of random traffic anyway to start with! You must have had lovely weather there last week? I bet the city is stunning in the summer. Also I’m so pleased someone is actually finding my blog useful! I love the premise of your blog, and look forward to reading about your future travel experiences! Thanks for writing such an informative blog. 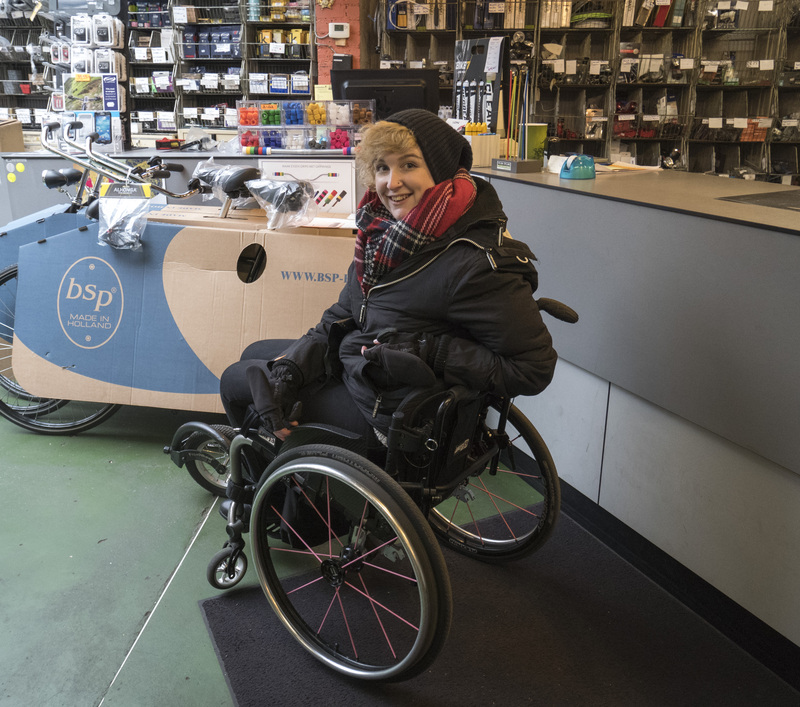 It’s rare to find stories on someone who travels independently in a wheelchair and I am extremely to hear you can do so. I also have a blog about my adventures traveling in a wheelchair and would love for you to check it out. I’ll post a link to your blog on mine. Happy travels! Hi Amy, I love your blog! I just released my first wheelchair access trip planning guide for Paris, and would love for you to review it. Please let me know if you’re interested Have fund traveling around Asia! Hey! I’d be happy to review your first guide, and it’s a city I’m quite familiar with too. Your guides look like a great idea – the usual guidebooks are next to useless for people with alternative needs! Are you looking for contributing writers for the project? My husband uses a wheelchair– MS, but the first bout put him as a T-9 para. Done some travel and I would love to do more. Just shared your blog on our facebook page. We will be keeping up with your travels. Wishing you all the best. Amazing thanks! Your project looks amazing – will definitely be checking that out when I get back! Thanks for one’s marvelous posting! I really enjoyed reading it, you are a great author.I will be sure to bookmark your blog and may come back later on. I want to encourage you to continue your great work, have a nice holiday weekend! Hi! I’m putting together a list of inspirational women-on-the-road for International Women’s Day in March and I’d like include you and Hot Wheels Goes! If you can spare the time do you mind answering a few questions so I can introduce you in the post. Thank you! It’s actually a great and useful part of information. I am just glad that you just shared this helpful info with us. I just want to say I am just beginner to blogging and really liked you’re web-site. Probably I’m likely to bookmark your blog post . You absolutely have fantastic article content. Thanks a lot for revealing your website page. It’s a pretty long time since I went now but yes I’m fairly sure there was some chair manhandling! That being said, most of the main tourist attractions have got good accessibility and often have disabled toilets too. The main issues I would see would be getting around the city as I am still unaware of any wheelchair accessible taxi service – some of the trams are accessible, as are some of the buses but if just one on the route is it will be listed as an ‘accessible service’ but you could be waiting there for hours and hours for nothing. I would suggest possibly looking up/contacting one of those hop on hop off tourist bus companies as they are quite often equipped with a ramp. If you’ve got good power in your chair though then from what I can remember drop kerbs were quite good, although sometimes you’ll have to find a convoluted way around major intersections. The second problem is that most restaurants and shops are up a couple of stairs, but this doesn’t make the whole city impossible you just can’t rely on ‘grabbing something here’. The options I can see here are: Plan your days including where you’re going to eat, the entire city is now on google street view so it should be easy to find places with no steps, or eat in the major tourist attraction cafes, which is a bit boring but if you’re not near any place that provides an alternative you’re not going hungry. Finally, if your chair is extremely beefy could you carry around some of those very lightweight telescopic ramps? I don’t know if it’s feasible but just a thought. Are you travelling with someone? I think it’s a trip that’s doable but at times might be a bit challenging. Don’t let that put you off though! The http://www.meosz.hu/index_23_04.php website has got more useful information on places that are accessible, including restaurants. Haha, I thought there might have been! Well, I haven’t really got that far into planning a trip, I basically just thought “I want to go”, there’s this beautiful disabled dog there, a handsome pointer, and I was thinking about adopted him, but I would need to meet him first to see how well I could manage him. My chair isn’t like a bariatric one or anything, just a pretty standard mid-wheel-drive power chair, but there’s no way anyone could lift it up. The maintenance guys had to tip it over a while back to sort something out underneath, and they really struggled. The telescopic ramps are a good idea though, will look into that. If I had someone to come with me as a pusher, I’d consider going in my manual, but it’s not got such good supportive seating as my electric, so I’d be really uncomfortable. Plus it’s horrible going from an electric back to a manual, so much hard work and less independence :/ that probably sounds really lazy, but I think I’ve probably lost a lot of the upper body strength I had, since using my powerchair, and now I’ve got problems with one of my thumb tendons, so self propelling atm would be impossible. and was wondering if it might be okay to republish articles from your blog and any other relevant ones on our website, with appropriate credit and a link back of course. Hi Dale, As long as you link back to me that sounds great. Also I’m so sorry for the delay in replying to this, I get SO much spam I miss a lot! 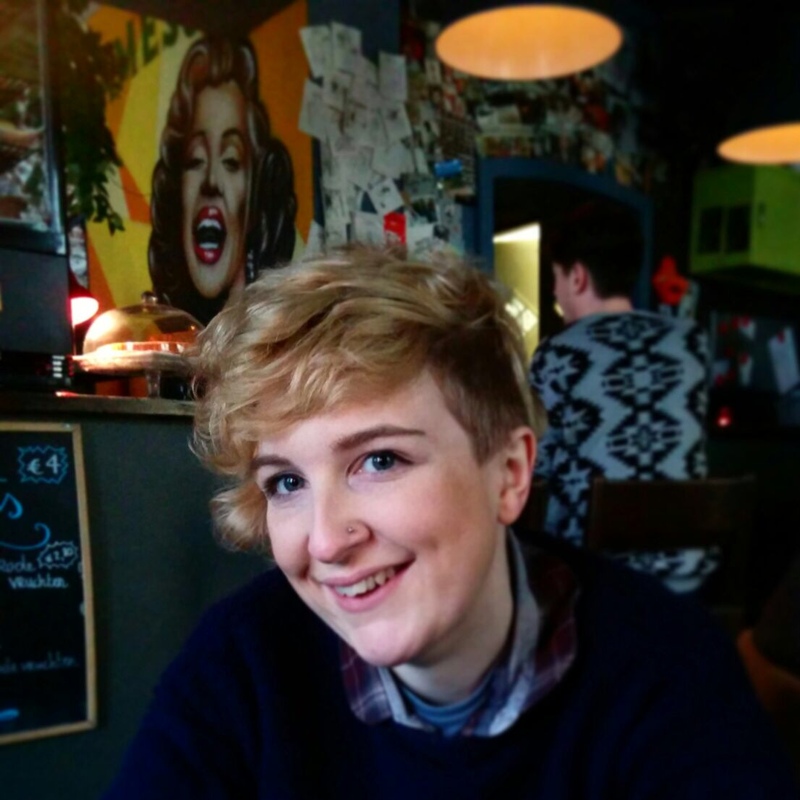 My name is Zoe and I am a student from UCL and currently studying for my masters in Spatial Planning. I am conducting research for my dissertation on historic buildings and wheelchair access and was wondering if you would be interested in sharing you experiences? Your blogs are very well written and inspirational. Myself being an avid traveller and physiotherapist, i really liked your written posts. I am currently compiling 20 stories for my international blog and wanted to know whether you would be interested to post me one your story during your travels. I would provide you more details once you email me as to why we are compiling the stories. Thanks and enjoy your travels.